Jennifer McMahon, The Invited . Doubleday, 2019. The novel opens with a brief scene in 1924 Hartsboro, Vermont, told in the first person by Hattie Breckenridge, known locally as a witch. It describes her capture by villagers whose children have just died in the burning schoolhouse—an event which she foretold. She manages to hide her daughter Jane (who has, as her foreknowledge did not tell her, set the fire), but she cannot save herself. She refuses to say where she is rumored to have hidden her once-wealthy family's money, and the furious villagers lynch her and throw her corpse in Breckenridge Bog, part of her property. Fast-forward ninety-one years to 2015. 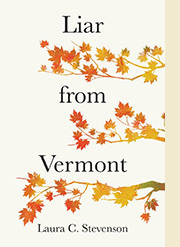 Helen and Nate, middle school teachers in a Connecticut suburb, decide to leave their comfortable lives and seek the simplicity of Vermont, in a sustainable house they plan to build themselves. They fall in love with the Breckenridge property; Nate, a scientist, is excited by its woods, bog and wildlife, and Helen, an historian, is excited by the prospect of researching the story that comes with the land. As they start to build (the book is divided into sections that follow the house's progress: Foundation, Framing, and so on), Helen begins to see Hattie's ghost, and Nate becomes obsessed with his sightings of an albino deer that eludes all his attempts to photograph. And things—wallets, tools—disappear for no ascertainable reason. One night, they capture the "ghost" whose presence they've sensed: it's Olive, a fourteen-year-old girl who lives with her father and the town's nasty tales about her mother, who has disappeared. 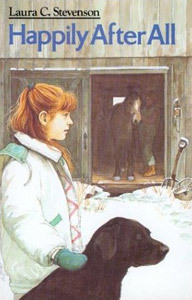 Olive confesses that she has been robbing them to buy a metal detector to help her find Hattie Breckenridge's treasure, which her mother was sure existed. 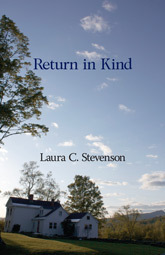 In return for their not calling the police, Olive offers to help them build, and it's not an idle offer, because her father is incessantly rebuilding their house for the wife that doesn't return. Helen and Olive thus embark on a tangentially related search, as Olive finds inconsistencies in the story of her mother's disappearance and Helen, assembling a beam, bricks and other old things for her new house, gradually finds out that three generations of Breckenridge women have all died violently. She becomes sure that Hattie keeps appearing to her in a desperate attempt to save the only survivor, and as the conclusion makes clear, she is right. The idea of a couple's building a haunted house is a good one, and McMahon, a novelist of considerable reputation, handles the nuts and bolts of the Vermont scenery and Helen's historical discoveries very well. The mystery that is Hattie's legacy is revealed not through Helen's research, but by scenes that parallel Hattie's opening piece: several historical women suddenly appear to the reader, not as ghosts but as narrators who tell their tragic tales. While interesting in itself, this technique considerably weakens the book's suspense, and an alert reader will foresee the ending long before it comes. Olive is a good character: convincingly teeny, but also lonely and determined. He story gradually takes over the novel; in the final chapters, Helen, Nate and their house are barely mentioned. We intuit, however, that their project has been successful, that Hattie, her mission accomplished, leaves them alone, and that they have settled in.